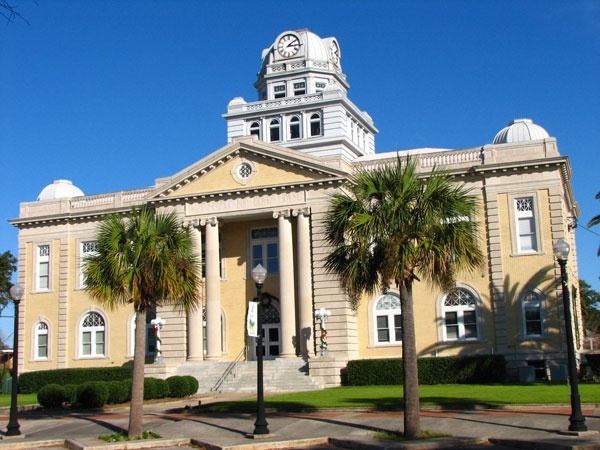 The county is bordered by Georgia on the north and the Suwannee River on the east. 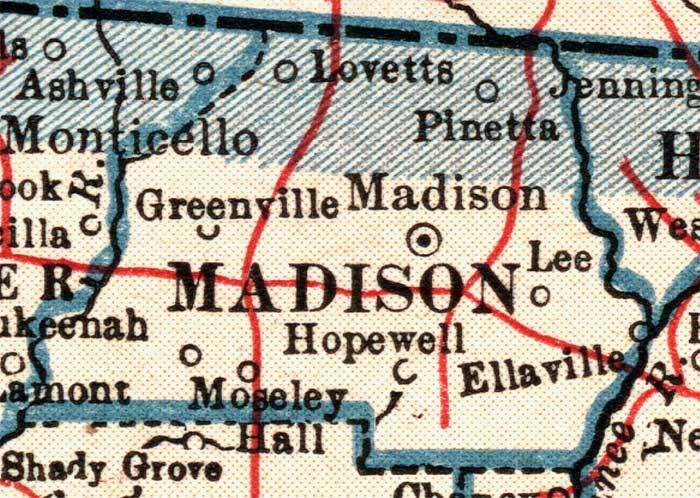 The county seat of Madison County, and the only incorporated city, is the city of Madison (pop. 2,843). 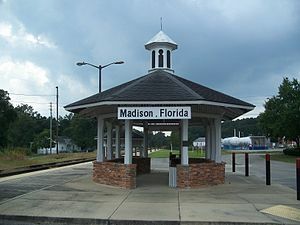 Madison has an Amtrak station, but it has not been in use since 2005, when damage from Hurricane Katrina suspended service on the New Orleans-Jacksonville section of Amtrak’s “Sunset Limited” train to Los Angeles. 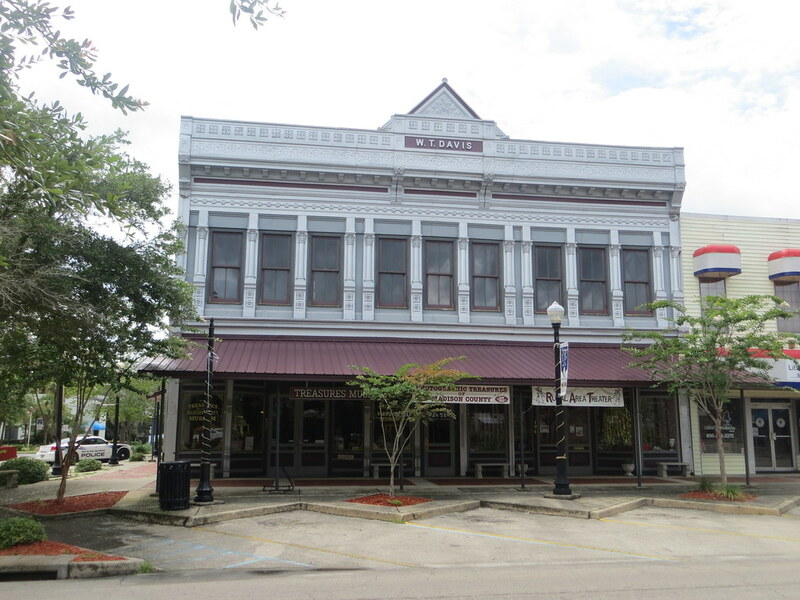 The Treasures of Madison County museum now occupies the historic, metal-front W.T. Davis Building in downtown Madison. The Four Freedoms Monument in Madison commemorates President Franklin Roosevelt’s 1941 State of the Union Address and honors Madison native Colin P. Kelly, an early hero of World War II. 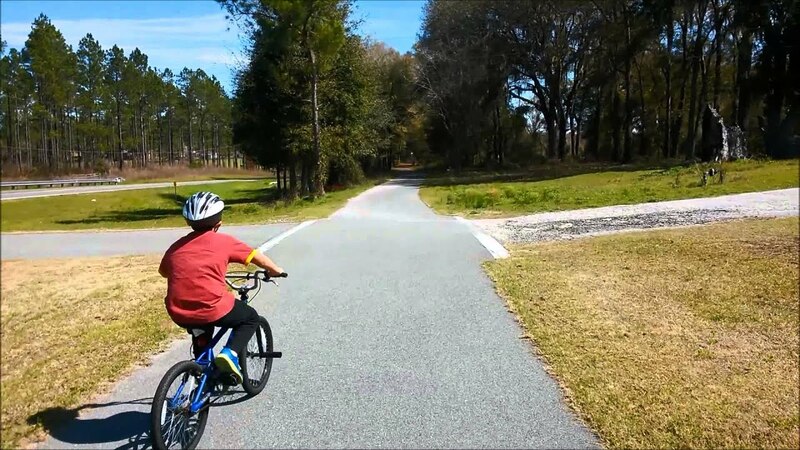 The Four Freedoms Trail is an 11-mile cycling trail that starts just north of Madison and goes to an overlook of the Withlacoochee River – one of two Withlacoochee rivers in Florida. 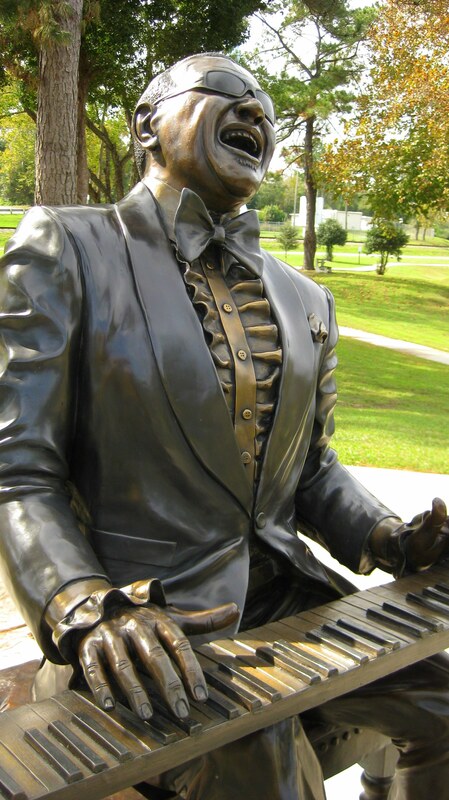 Singer Ray Charles (1930-2004) grew up in the Madison County town of Greenville (pop. 841). His full name was Ray Charles Robinson. The Ray Charles Childhood Home was purchased by the town in 2006 and restored. 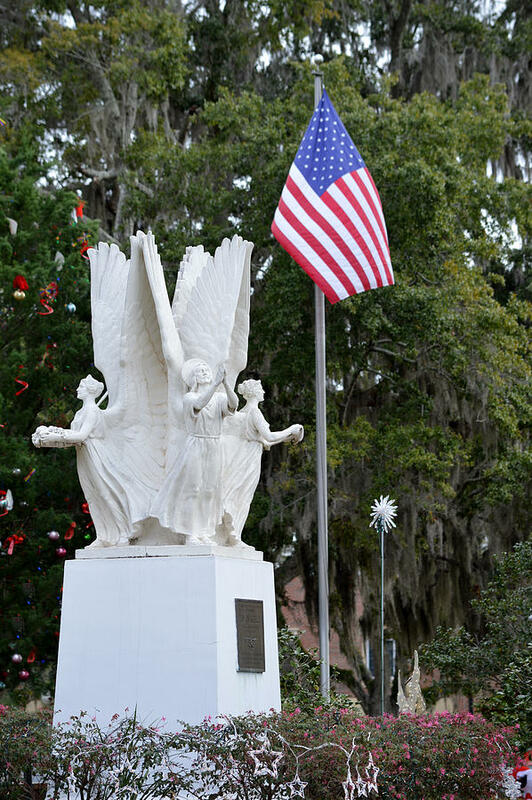 This entry was posted in Florida and tagged Four Freedoms Monument, Four Freedoms Trail, Ray Charles, Treasures of Madison County. 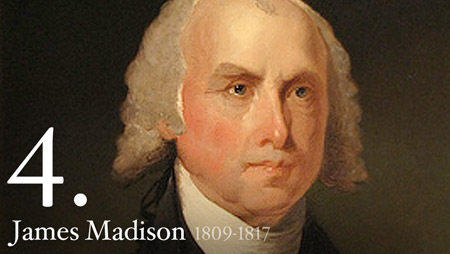 what a shame about the Madison Amtrak station!